The IRS announced cost-of-living contribution increases for pension and other retirement plans for 2015. The Internal Revenue Service announced on Thursday cost of living contribution increases for pension and other retirement plans for tax year 2015, which includes $500 increases to 401(k)s, 403(b)s and most 457 plans — from $17,500 to $18,000 — as well as catch-up contributions for employees aged 50 and older. The catch-up contribution limit for employees aged 50 and over who participate in 401(k), 403(b), most 457 plans and the federal government’s Thrift Savings Plan will increase from $5,500 to $6,000. The limit on annual contributions to an individual retirement account remains unchanged at $5,500, while the additional catch-up contribution limit for individuals aged 50 and over is not subject to an annual cost-of-living adjustment and remains $1,000. In addition, the IRS said that the deduction for taxpayers making contributions to a traditional IRA is phased out for singles and heads of household who are covered by a workplace retirement plan and have modified adjusted gross incomes (AGI) between $61,000 and $71,000, up from $60,000 and $70,000 in 2014. A recent Government Accountability Office report found that for tax year 2011 (the most recent year available), an estimated 43 million taxpayers had IRAs with total reported fair market value of $5.2 trillion. About 99% of those taxpayers had aggregate IRA balances (including inherited IRAs) of $1 million or less, GAO says. For married couples filing jointly, in which the spouse who makes the IRA contribution is covered by a workplace retirement plan, the income phase-out range is $98,000 to $118,000, up from $96,000 to $116,000. 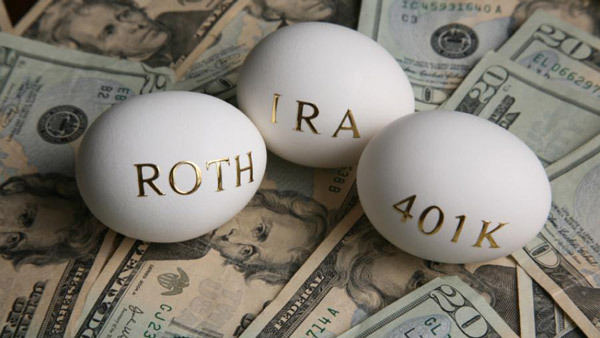 For an IRA contributor who is not covered by a workplace retirement plan and is married to someone who is covered, the deduction is phased out if the couple’s income is between $183,000 and $193,000, up from $181,000 and $191,000. — Check out Fiduciary Rule to Snag BDs on IRA Rollovers on ThinkAdvisor.